﻿Wine Tasting Demystified contains more than 40 articles, that I update on a regular basis by including the most recent advances in the science of tasting. 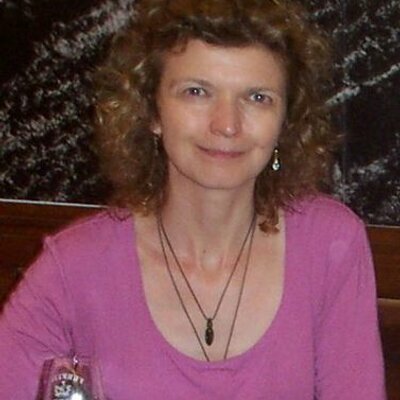 I also add stories of interesting wine experiences that I was part of or that were published in the media or other wine professionals. As a passionate sensory scientist, I am always on the look out for new advances in my field of expertise. I receive weekly alerts of new scientific publications about training sensory panelists, understanding human senses or wine consumer preferences. I also read wine media stories and share with you the worth sharing ones. The first issue of Wine Tasting Tips was published in December 2016 with a focus on food and wine pairing. While I would like to promise monthly Wine Tasting Tips, my current reality allows me to make sure I connect with you 10 times a year, with only one issue in the summer months and another break when I have to travel abroad to visit my family. This is true. I may very occasionally send an announcement that would require your attention, however very occasionally. I spend several minutes a day cleaning my inbox of undesirable emails. Why would I impose on you the same burden? I won't use the newsletter to sell you things you don't need or want. I will use the newsletter to share tips and products that could help you enhance your tasting experiences. I once read an article in a famous wine magazine and it was obvious that the writer did not take the time to read the scientific paper she was commenting. I read all the papers I reference in my articles and my training as a reviewer helps me identified doubtful statements. If you have a question, it's very likely that other readers have a similar question. That's why whether you emailed me directly or filled out the contact form, I will provide my best possible answer or will offer some suggestion or advice to address your question. 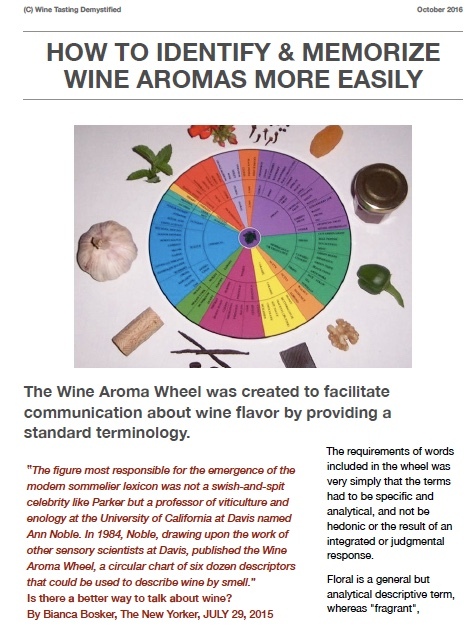 you will receive a FREE copy of my e-book "HOW TO IDENTIFY & MEMORIZE WINE AROMAS MORE EASILY" upon confirmation of your subscription. First: Sign up using this form. You will then receive a Thank you email asking you to confirm your subscription to Wine Tasting Tips. Second: Confirm your subscription by clicking on the link provided. You will then be able to download your FREE e-book. You will always be able to unsubscribe using the link at the bottom of each newsletter. Be assured that your email address will only be used to send you the newsletter and will not be shared with other parties. I look forward to welcoming you in my readers' group.